The Teacher Desktop is almost as bad as the Teacher Window (20+ tabs in one window). Don’t wait to organize your computer files— start now! It’s easy to hide old lesson plans and PowerPoints in a folder, it’s not easy to find it again months later. As part of our summer of re-evaluation tips and tricks, the first step is to get organized. Summer is the best time to clear the virtual clutter and have it organized for the Fall. 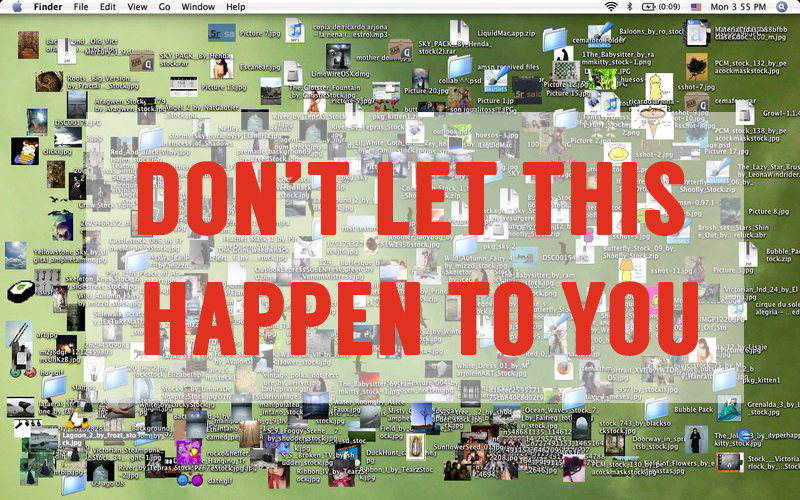 And don’t forget to clear out your school computer before the district wipes your emails and computer for the summer! Now that you have a slew of files, it’s time to organize them into folders. Turn on some music, bring out some coffee and place relevant files into their corresponding folders. Tip! Don’t try to organize too deeply at this step. For example: Instead of making folders for Metamorphic, Igneous, and Sedimentary rock lessons, just make one for the Rock Cycle. If that’s too detailed, keep to big units. Don’t worry about re-naming or separating by pictures or Word documents—leave that for the next step. This step will take more time and consideration because this is a good opportunity to figure out what to archive, keep, or trash. According to MakeUseOf, file organization can happen several ways. 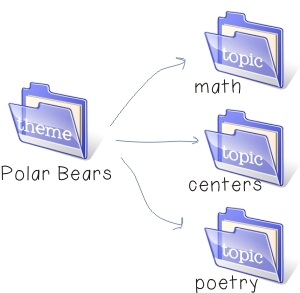 Organize by Category: Files like PowerPoint, Word Documents, PDFs, etc. For us teachers, this is not the most optimal way of organizing as we know that we have more PowerPoints than we know what to do with. Organize by Date: Our teacher-in-residence and Head of Customer Success, Sheri, likes to organize her teaching files by date. Example: 020414PythagoreanTheorem (February 4, 2014) After 10 years, she says that organizing by date helps with pacing. Check out how Kindergarten Works organizes their digital folders, along with graphics! Don’t forget to re-name files with a uniform, simple, and easy way that is recognizable at a glance. Set up a “file organization” time each week, like Sunday mornings at 11am. That extra 10 minutes will keep your desktop clean, files organized, and sanity in place. Use Evernote to clip interesting lesson plans, news, or media. 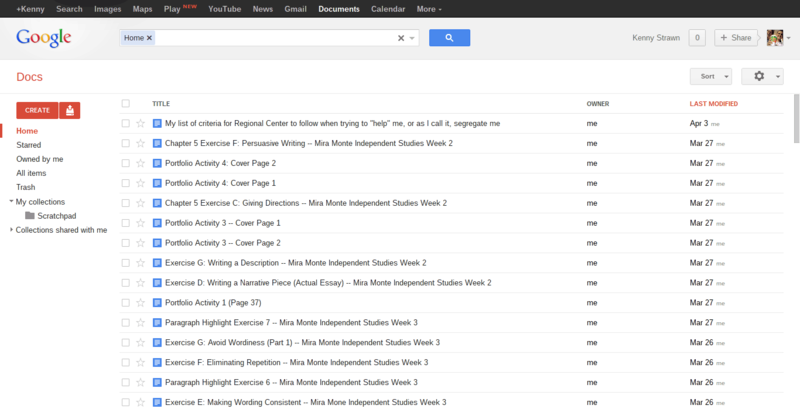 The tagging feature will be useful to organize and find information when you’re fixing lesson plans in the future. I’m guilty of keeping screenshots that I have no idea what I kept it for because it just lived on my desktop or Pinterest. Regularly vet your files and see what is not important. Also, back up files to an external hard drive or service like DropBox. Nothing can be worse than rebuilding an entire unit because of digital memory loss! Tip! Using programs like Grand Perspective can give you an idea of which files are taking up large amounts of space. For example, after running the program, I realized that many of the videos I use for Presentations were taking up at least 10GB of space. 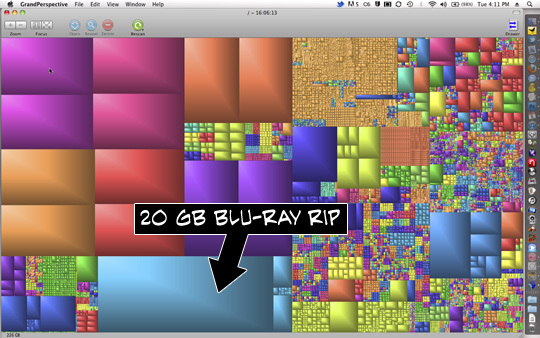 I either kept it on my YouTube or exported to an external HD without compromising more space. You can also consider keeping a Picasa or Shutterfly account to organize pictures.